The panic buyers are back and have a grip on us normal folk again, it’s petrol they are after, so a warning to all our lovely hen and stag parties travelling this and next weekend, PANIC! ONLY JOKING, don’t panic go to a 24 hour garage at 10pm when all the panic buyers are tucked up in bed and fill your tank up in a civilised manor. Alternatively, you can always get a train, plane or coach to your stag destination and let DesignaVenture organise the transport logistics out for you*, leaving the panic buying to the mini bus drivers instead. *DesignaVenture can organise return cabs and minibuses for your stag party from your hotel to your various stag activity sites, at an extra cost (obviously). It’s all over the BBC website, chocolate helps to keep people slim, new researchers have announced, which is great news for our hen parties that have booked chocolate making in London. Although chocolate contains bags of calories apparently regular consumption has related to a lower BMI in some people, when they say regular intake this pretty much means a few times a week, not a day! So the report states that it’s good to eat chocolate a few times as it’s good for blood pressure, sensitive insulin levels and favours lower BMI. Another plus point is that dark chocolate is full of antioxidants, which is good for clearing out all the harmful free radicals in your blood. This is great news for DesignaVenture’s hen parties who can now go on their chocolate making hen night without a worry of putting on weight. 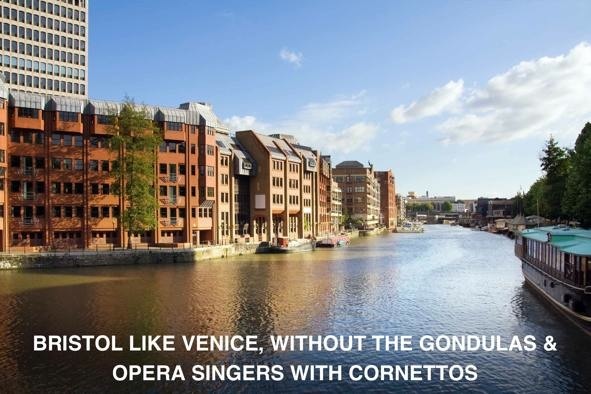 Bristol has all the makings for an awesome stag weekend, need more convincing? Lets take a closer look. So why has Bristol become such a popular stag destination? Just having a quick look at the stag activities on offer in Bristol which includes racing Rage Buggies, shooting clays, thrashing around on Quad Bikes, taking part in the West Country Games, flying Hovercrafts, Canyoning, the list is impressive and that is just skimming the surface. Apart from the amazing stag activities on offer, Bristol is also a laid back city with gyrating nightlife and a city centre oozing with coolness. Take a trip down to the waterside for bars and restaurants overlooking the docks, full to the brim with party goers and an atmosphere that picks you up and gives you a nice warm hug. You then have the old cobbled centre of Bristol with great clubs, bars and restaurants giving your stag weekend a different taste to this great West Country city. Whilst in Bristol go cider tasting (when in Rome and all that) or let your hair down at the infamous Bristol Bierkeller or learn the art of cocktail making. Whatever happens on your Bristol Stag Do, I am absolutely positive you’ll return to this fantastic city for another go! David Mitchell has just announced his engagement to Victoria Coren in the Times under the forthcoming marriages section. Now last year David released an extremely witty soapbox on stag weekends which included his opinion (tongue in cheek, however possibly with intention) on what the modern stag do is all about with quips such as “high speed water prostitutes” and “10 days white water rafting in a paddle steamer crewed by strippers”. I just wander if he will just have a beer down the local with 3 of his best friends or will give in to temptation and go on the full on activity stag weekend with 20 of his so called friends in which he only knows 5 of them fairly well. I think he should look beyond the paintballing and quad biking that he stereotypically says a stag weekend is all about (referring to his soapbox) and go for a stag weekend more suitable to his tastes. Maybe a stag weekend with a whisky distillery tour followed by a walk and then a private dinner with cigars to finish may be more suitable, only he knows what he wants to do, horses for courses people. Some stags want full on stag activities such as Rage Buggies, Paintballing and strippers and others prefer a survival weekend, canoeing down the river or a chilled weekend in a 5 star hotel up in the lake district. Whatever floats your boat DesignaVenture are here to serve and take the hassle out it. There’s another celebrity stag do happening in twenty 12 people; Tom Fletcher from McFly and he is about to get The Hangover treatment, according to his bandmates. Tom is due to marry Giovanna Falcone in May and is not even worried that this is the first stag do in the Group, according to a popular tabloid’s website he is more worried about the speech and the special day. His bandmates Danny, Harry (who won Strictly Come Dancing) and Dougie (who won I’m a celebrity) has told reporters to expect midgets and a lamp post to be involved. They also confirmed that there will also be a bowling ball, bathtub and eight gallons of sour cream, what kind of stag do are they planning? Whatever they decide to do on his stag weekend we would like to wish Tom and his future wife all the happiness in the world. A stag do in Bournemouth should always be on the cards especially if you are looking for great stag activities and fantastic nightlife. Now there is another reason to visit this popular stag destination. Trip advisor’s users have just voted the beach at Bournemouth the best in Britain. The 7 miles of golden sand is very clean and there is ample of space to play games, swim, surf and play beach volleyball (or watch it). The beach is only 5 minutes walk from our popular stag friendly hotels and a few minutes walk from the town centre. Whenever there is a heat wave the cameras always head to Bournemouth and so should you for your next stag do, I cannot recommend it enough. According to the press and they are rife at the moment when it comes to the JLS stag do, it’s seems to be the wedding of the year, Martin Humes’ stag do is being organised by a former MI5 operative. In previous DesignaVenture blogs we mentioned that Marvin was going to have a no expense spared stag do by private jet to America, taking in Miami and Las Vegas and possibly other Cities favourite d by the band. According to the tabloids the stag do organiser is a former MI5 operative giving him the 007 credentials. Well if this man turns out to be more MFI then MI5, they should consider giving DesignaVenture a call. 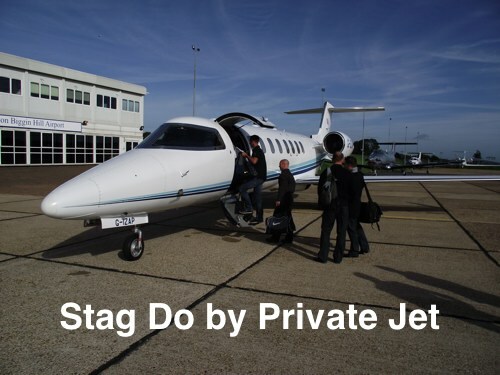 DesignaVenture organise stag weekends away by private jet and have a humongous amount of experience organising stag dos all over the world, enough said. When it comes to getting yourself served these days, the loudest get served the quickest, however this is not the case with DesignaVenture when booking your stag do. We help all our clients on a first come first serve basis, making every stag do equally as important. There is no need to shout to get your voice heard, just send us an email or give us a ring and we will serve you immediately (in office hours obviously). And when it comes to booking a last minute stag do you will have our full attention, leaving it to the last minute sometimes can’t be helped however, we understand the problems of a shotgun wedding so we have procedures in place to help you out. So, no need to shout just get in touch for the best stag do money can buy. Most stag dos these days consist of activities, beer, bar and club, however there is a trend starting to emerge where the whole stag party take on an Iron man style event. There are loads of different events going on around the country including Tough Guy in the West Midlands, Iron Man in Bolton, Galway (Eire) & Pembrokeshire and Commando Challenge in Devon. 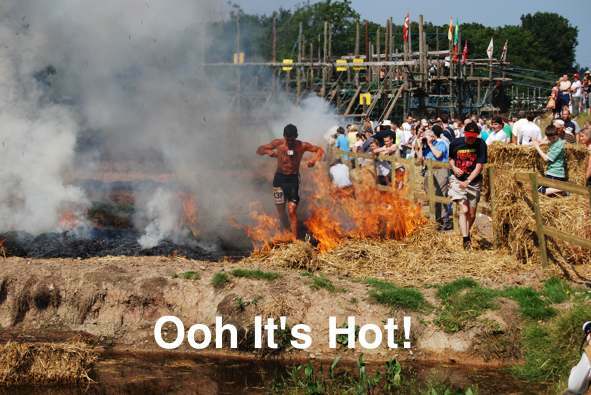 They usually consist of running, swimming, obstacle courses and Tough Guys includes running through fire – not the sort of stag activity you would expect however more groups are wanting to do this sort of stag event. Stag Dos are also becoming thoughtful and getting sponsored in aid of their favourite charities whilst doing these grueling stag events. We wish them all the best and please get in touch if you have competed in one these events for your stag do. Most people tend to tarnish a stag do being loud and full to the brim with testosterone, and they are usually near the mark, however not all stag dos want to be brash. Some stags / ‘grooms to be’ want a quiet more chilled affair, not full of banging clubs and naked strippers. 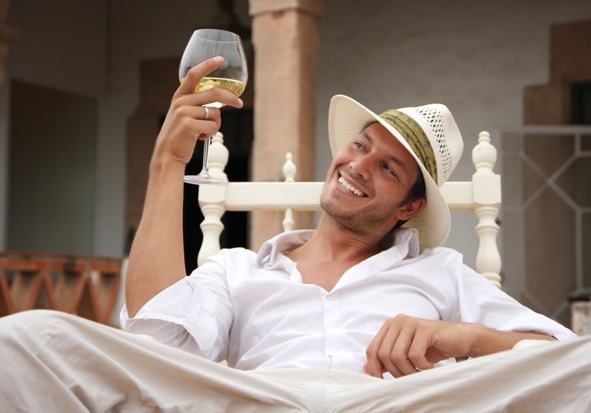 So here are a few stag do ideas for a sedate stag weekend. Canoeing and camping down the River Wye is one stag weekend that will chill you to the horizontal position. Just think stunning scenery, clear air and not a traffic jam in site. Get onboard a Skippered Yacht and do as much or as little as you like, with accommodation onboard you can explore the sea all the way to Cowes. The world is your Oyster well, the Solent is and if you fancy a tipple or two you have the Isle of Wight to explore. Be a beach Bum in Valencia, with great beaches a beautiful city and stunning weather you will be truly relaxed on your flight home. There are thousands of stag do ideas to choose from and just remember ‘it’s what you make of it’.